World’s deadliest Islamic terror sect, ISIS has released over 40 Christian hostages.According to reports, this is the last batch of the more than 200 hostages kidnapped by the group in Syria a year ago. The 43 released hostages are currently on their way to the town of Tal Tamr in northeastern Syria. 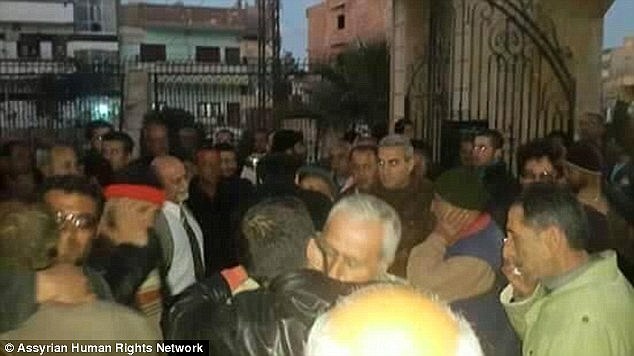 They are part of the 230 Assyrian Christians abducted by the extremist organisation in February of 2015 in Syria’s Khabour region, AFP reported. Over the past few months, ISIS started releasing many of its hostages in batches. Originally, the organisation was asking for $100,000 for each hostage but through negotiations, this number was eventually reduced. The latest release was made possible through the mediation of a priest from the Assyrian Democratic Association. According to numerous sources, the priest and other members of the group negotiated with ISIS leaders to lower the ransom for the hostages. However, it is not yet clear how much the group paid but according to a report from the Daily Mail, the ransom was below $18 million. “We paid large amounts of money, millions of dollars, but not $18 million,” an anonymous source who’s associated with the Assyrian organisation said. those are the people to give Aslyum,the christian arabs and jedise people ,not arabs muslims,they are killer and dangerious to live with.